Forget Bunderburg - at over 130 years old, Beenleigh Rum Distillery is Australia's oldest working distillery. 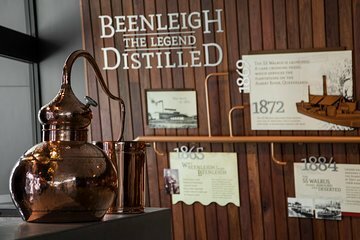 On this short tour of the heritage-listed distillery site, hear about the distillery’s colourful history and the techniques that are part of Beenleigh’s rum-making process. Finish the tour with a free tasting experience, during which you can sample vodka and rums made on site.